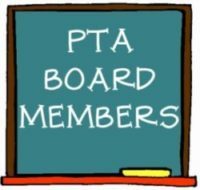 2019-2020 PTA Executive Board Slate – Voted on at the April 16th meeting. The following proposed 2019-2020 PTA Executive Board slate will be voted on at the April PTA General Membership meeting. The meeting will be held on Thursday, April 16th at 8:30am.